The leader of the Indigenous People of Biafra (IPOB), Mazi Nnamdi Kanu, has suspended his live broadcast earlier scheduled for Saturday. The suspension of the broadcast was made known in a terse statement by his deputy, Alphonsus Okafor-Mefor, via his Facebook page. However, Okafor-Mefor informed that instead of a fresh broadcast this weekend, a repeat edition would be played back after which the IPOB leader would host an interactive session on Radio Biafra. “There won’t be a live broadcast from our leader (Nnamdi Kanu) on Saturday. In place of it, we shall do a repeat and interactive session will follow,” Okafor-Mefor said. 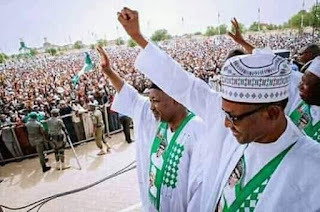 Mazi Nnamdi Kanu had last Wednesday alleged that the so-called Jubril Al-Sudani had confirmed his claim that he was an impostor. Kanu made the claim in reference to a picture of the President responding to cheers from his supporters by raising his fist.